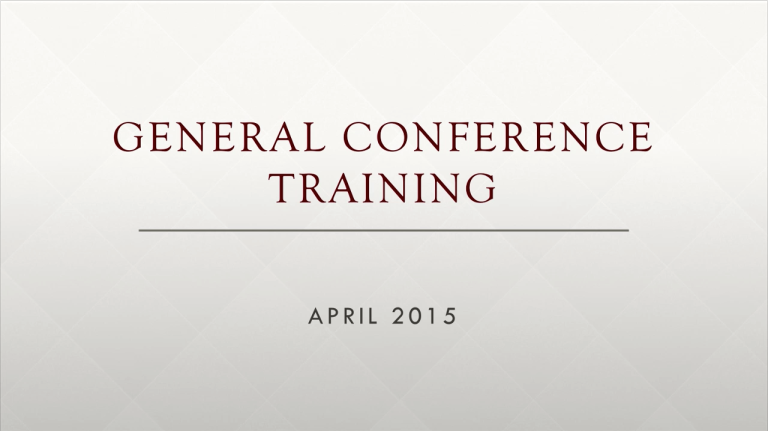 Files from the April 2015 General Conference Training on Sabbath Day Observance are now available for downloading. These files should be utilized as directed by your Bishopric and Ward Council for training in quorums, groups, and auxiliaries. Click here to go to the download page (login required).